Sound the alarm! We forgot to put this in the main newsletter because of we’re going to say our severe exhaustion after we spent most of the day saving dogs from volcanoes. Either way, we realized our mistake! This week, check out fun games with fun people in a fun town! It takes place at the Brass Cat [65 Cottage St., Easthampton, MA 01027] at 7pm – 11pm on Wednesday, August 3rd. “Alright Folks, we are back to it! This week, we’ll be featuring two more great games (and of course, whatever else you all bring). Mysterium (2-7p) is the glorious combination of Dixit and Clue in a race to discover who killed the owner of this now haunted house. One player is the ghost, who is doomed to haunt this house until their killer is revealed and justice is served. She can only communicate information through a series of surreal visions. Everyone else plays the psychics, who will work together to discover the killer, location and murder weapon. Will you solve the mystery in time? Or is the ghost doomed to haunt this house for all eternity? 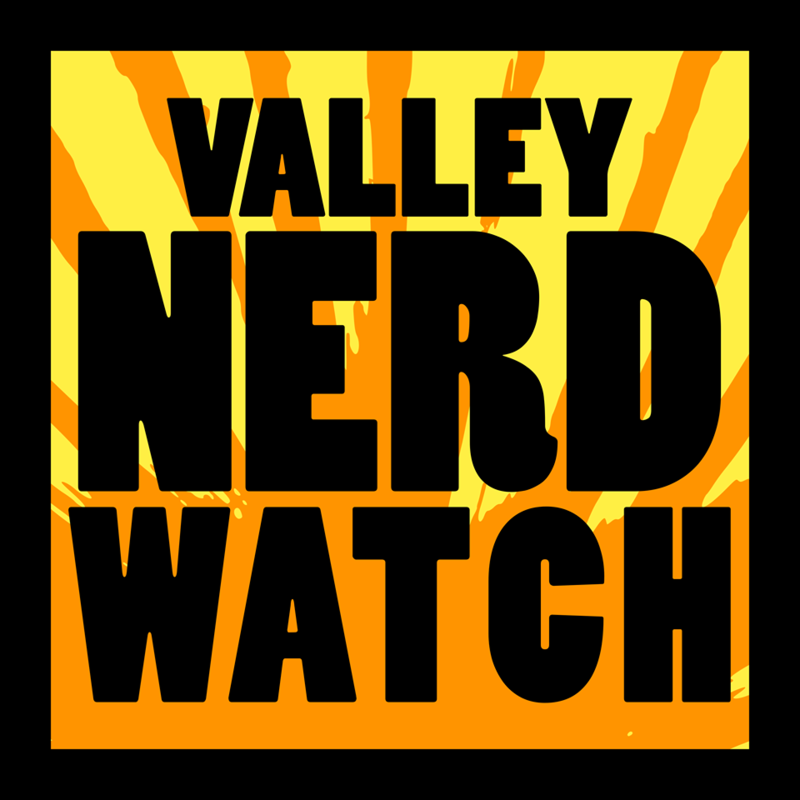 If you see a stunningly charming person handing out Nerd Watch stickers, that’s our the homunculus we send into the world to do our bidding. Don’t let the bouncy curls and easy smile fool you, it’s like 90% fingernail clippings! NextNew Local Webseries: Dank Dungeons!